Bakliwal Tutorial-IIT is located at DRM office road, opposite Preeti caterers, Above Bank of india, Railway lines, Solapur, Maharashtra. User can find the complete detail on profile of Bakliwal Tutorial-IIT, along with option to book class online. 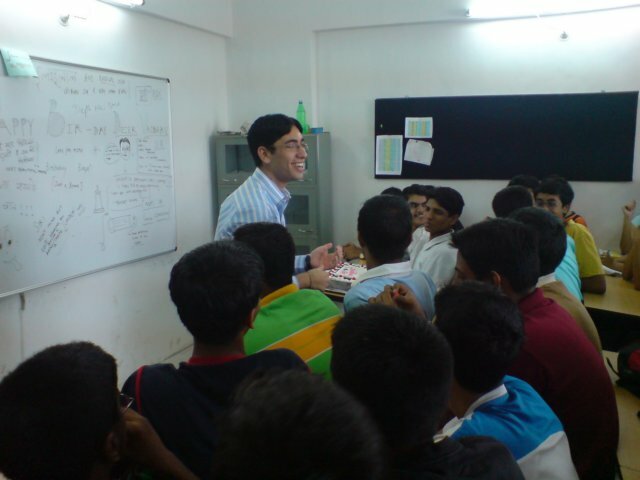 Bakliwal Tutorial-IIT is engaged in the imparting education to students of all age group. Students and parent will also get the option to check subject wise fee they charge and compare the same with the other tuition / coachings nearby location. We appreciate your sincerity and determination to clear the important examination ahead of you. Your decision to consider Bakliwal Tutorials to be your trainer bears ample testimony to your resolve. Every smart individual realizes the importance of expert help at the right juncture. Behind every Edmund Hillary triumphantly waving a flag at the pinnacle is months of toil under the watchful eyes of a committed trainer. For the past 9 years, we at BT have been that trainer for many a successful students. So, do we have some magic formula that will open the gate of a favourite institute for you? No, we do not. There is no substitute for all the hard work that you and you alone must put in. What we do have is the knowledge, expertise and the right classroom culture. Our knowledge will tell you how to channelize your efforts and how to focus your attention so that you are able to achieve maximum in minimum time. Our expertise will take you through so many simulations that when you face the real test you will have confidence of being on familiar ground. Our classroom culture will help you stay positive and motivated throughout. We have a simple definition of our success: When you succeed, we succeed. Avishkar Engineering Academy was established in the year 2005 with the prime moto of imparting quality education Diploma in engineering and moulding students for computer aided drafting softwares and many more competitive exams. Through CADKNEZ one of the most popular institute for engineering softwares. What we do have is the knowledge, expertise and the right classroom culture. DiSHA Computer Institute – A Division of DiSHA Group of Companies We are one of the leading Training Service Provider in Information Technology. DiSHA is a 1-stop solution for companies operating at various levels. We are one of the market leaders in the field of IT education and associated skills. We are an emerging Professional organization with a mission to provide business, software & applications for serving the requirements of Indian Computer Training business Community. DiSHA Computer Institute started its operations from Pune (Maharashtra) & today it is successfully running 45 Institutes across Maharashtra. We have aggressive plans to extend its operation in the rest of Maharashtra as well as in other states.